A good value, the owner was very nice and got us a taxi to the bus station. 1. Perfect location. Away from the town vanity but close enough for a casual walk. The veranda view is amazing and very nice for the morning tea. 2. Very nice wi-fi coverage and good throughput as well. 3. Cozy sleeping rooms and the dining area. Everything was excellent! The staff was really politely and helpful, and the room with its cleaniness and comfort deserves the highest rate! Location perfect! The location was in a good part we had a view on the mountains and the city, the room was big and the bed really did feel like a cloud, we had a balcony perfect for the morning caffe with a beautiful view. In the kitchen we had everything we needed and we had a cable with lots of chanels for movie nights. The owner was nice he was very welcoming not minding showing us around. Very pleasant holiday. Everything was just perfect! Hope to have time soon to visit again:). 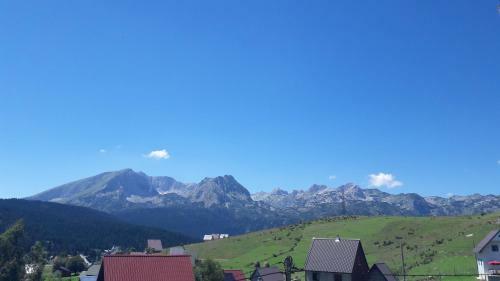 The location of property was great,it has beautiful view from room at Durmitor mountain. The owner was very pleasant and apartmant was very confortable. Good value for money. To be honest - it is nothing special but it is comfortabe. About 10-15min of walk to center of Zablijak. Great view! It's nice to heat with the stove. The view is amazing and the place is very comfortable, clean and not far from the centre. The host was great - easy to communicate with and very helpful. We had a great time and look forward to coming back!! 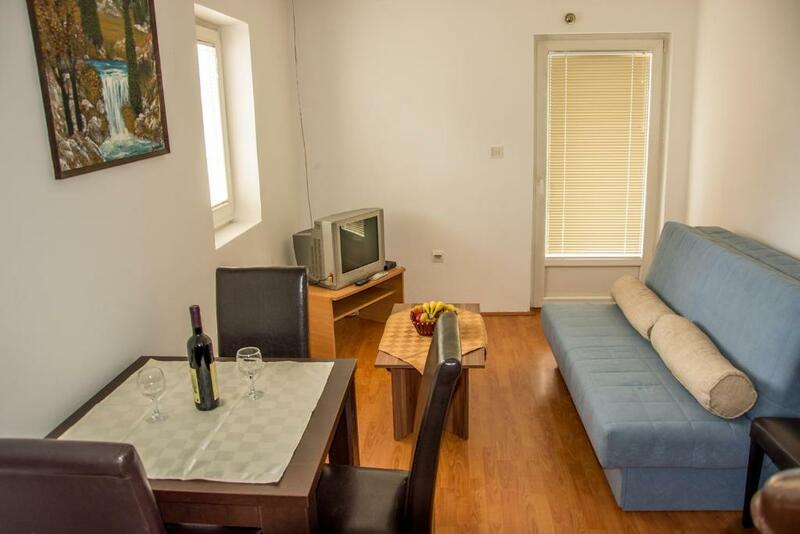 Lock in a great price for Zabljak Apartments Dacic – rated 8.4 by recent guests! 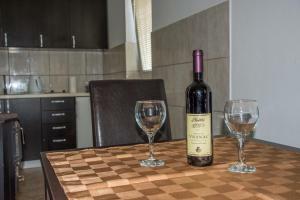 Zabljak Apartments Dacic This rating is a reflection of how the property compares to the industry standard when it comes to price, facilities and services available. It's based on a self-evaluation by the property. Use this rating to help choose your stay! 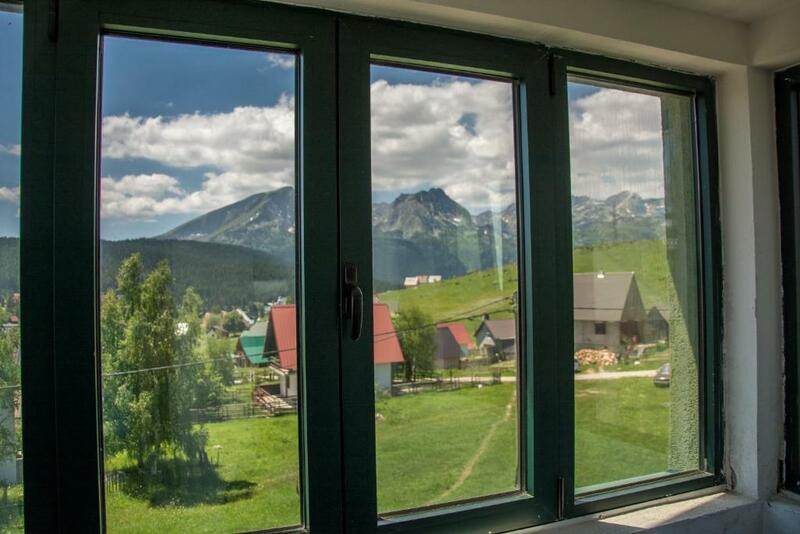 Located in Prisoje, 1,950 feet from the center, Zabljak Apartments Dacic is surrounded by family homes and nature. The property is located close to 18 lakes. All apartments offer satellite TV, modern designed living room and bedroom, a fully equipped kitchenette and a private bathroom with a shower. All apartments offer a view of the mountains. There is a restaurant serving traditional cuisine 1,950 feet away, while a grocery store can be found 1,650 feet from the property. Owners can organize bike rentals and jeep safaris, as well as rafting on Tara River. The Black Lake is 1.6 mi from Zabljak Apartments Dacic, while Durmitor National Park is 0.9 mi away. Main Bus Station can be reached in 0.6 mi, while Podgorica Airport is 75 mi away. When would you like to stay at Zabljak Apartments Dacic? 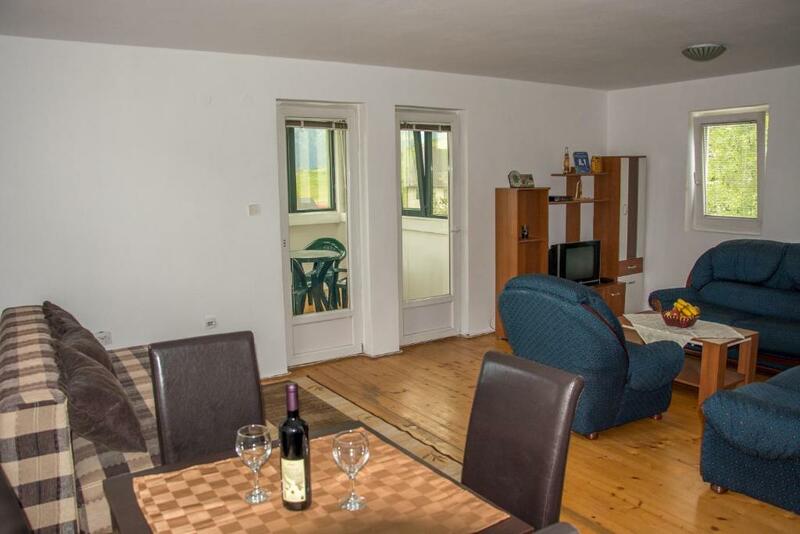 Apartment fitted with a sofa, cable TV and a kitchenette with a dining area. Private bathroom offers a shower, hairdryer and free toiletries. 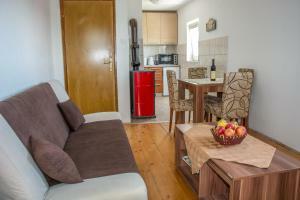 Apartment fitted with a sofa, cable TV and a kitchenette with a dining area. 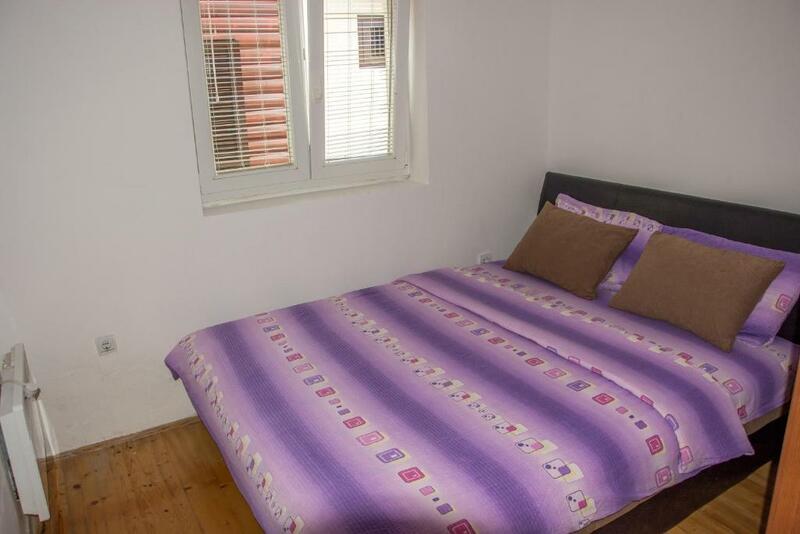 Private bathroom offers a shower, hairdryer and free toiletries.The apartment offers a balcony. 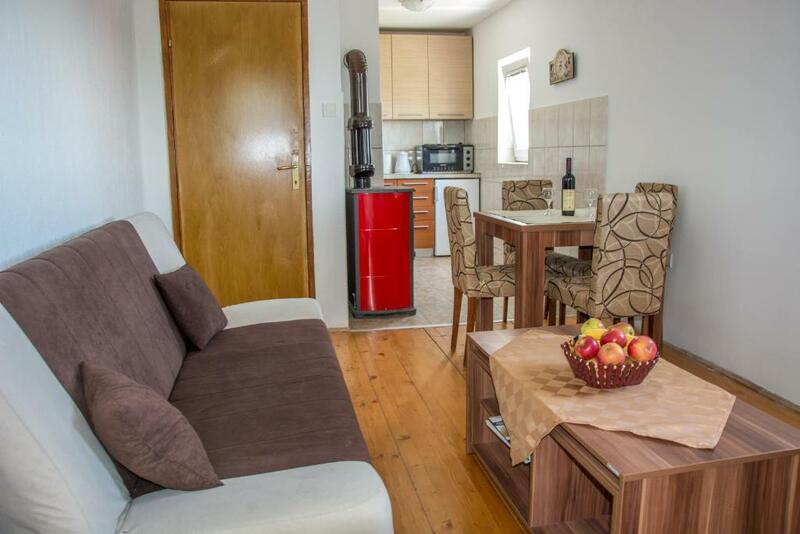 Apartment fitted with a sofa, cable TV and a kitchenette with a dining area. Private bathroom offers a shower, hairdryer and free toiletries.The apartment offers a terrace. 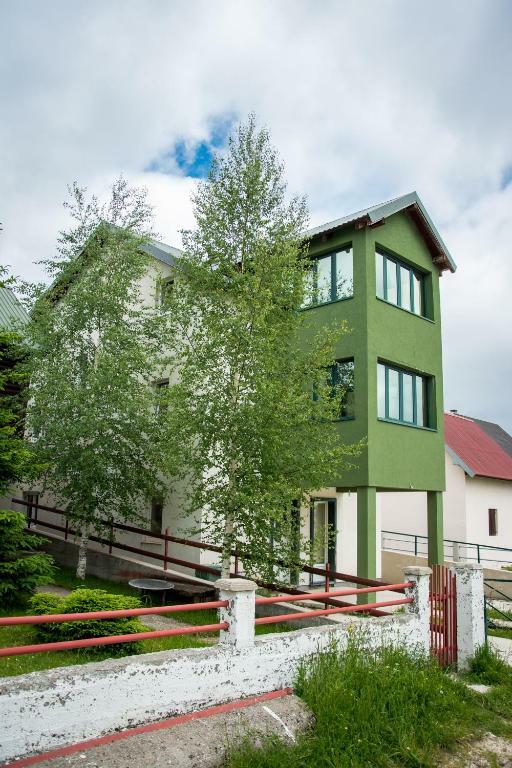 Situated in Prisoje, 600 metres from the centre, Zabljak Apartments Dacic is surrounded by family homes and nature. All apartments offer satellite TV, modern designed living room and bedroom. All apartments offer a view of the mountains. House Rules Zabljak Apartments Dacic takes special requests – add in the next step! Zabljak Apartments Dacic accepts these cards and reserves the right to temporarily hold an amount prior to arrival. The shower in bathroom need to be repaired. The shower is a bit annoying. A little far from town. 1. Bathroom. It is very wide but with with very small bath tab and insufficient tiny water heater. The water pressure needs a boost as well. Taking a comfortable shower is not to be expected. Kitchen not well equipped. The place smelled strongly of cigarette smoke inside. Shower went cold and lost water pressure occasionally. Clean. Warm inside. Helpful owner with organising rafting for us. Good wifi. The size of the apartmant, the view from the balcony, its locarion is perfect, quite and beautiful.. It's not a super quiet place though, if you are sensitive about it. It lies directly at a local road, and a noisy vehicle would pass by every now and then. 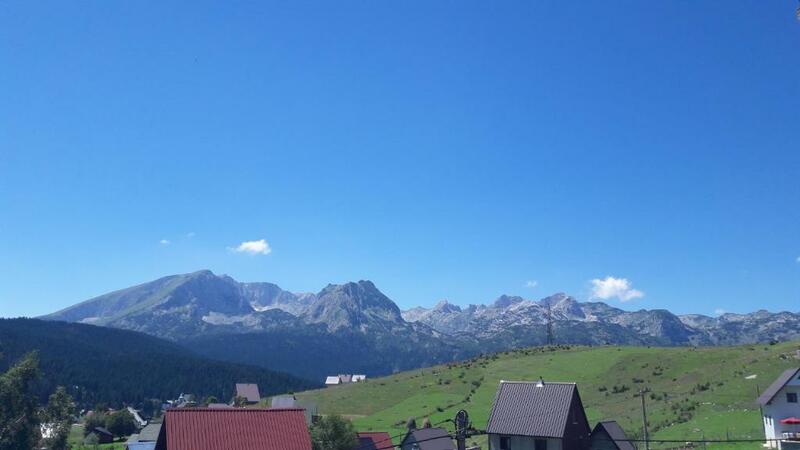 Great view from the veranda to the Durmitor mountains, the town and other mountains on the horizon, provided you choose the 2nd floor (two bedrooms, one with a double bed, the other with 2 beds, plus a living room with a sofa). The apartment is sufficiently equipped and comfy. It was a very nice stay for me and my family.